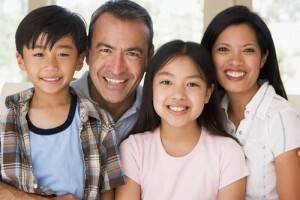 How Is a Thai Family Different From Your Family? Family Plays An Important Part In Your Thai Lady’s Life. Are You Considering Marrying Into A Thai Family? If you’re marrying into a Thai family, you’ve made a wise choice. Thai women make great partners. If you marry a Thai woman you’ll have a wonderful relationship as long as you’re open to understanding Thai culture. 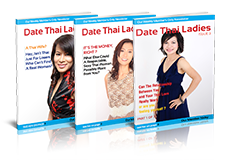 The Thai family culture can affect your relationship with a Thai woman in a positive way if you accept it for what it is. That’s why the Thai family unit is the seventh reason Thai women make great partners. You have a family. Your Thai woman has a family. Why would there be a defining difference between your family and her Thai family? The answer is that your families are different! The way you act within your family unit and the way you treat each other in Western families is different than it is in a Thai family. How is it different? Let’s compare western families to Thai families. In Western culture the idea is to raise independent children who will leave the nest as soon as possible after the age of 18. Senior members of the family are put in homes or assisted living facilities when they can no longer take care of themselves. To have Senior family members live with their families would be too big a burden for their children to bear. The opposite is true in Thailand. A Thai Family is happy to have the children live with them even after adulthood. It’s not unusual for adult children to marry and have children all the while living with their parents. Thais see this as an advantage since the Grandparents will spend many hours looking after the grandchildren while the parents work. It also establishes a strong bond between the grandparents and grandchildren. Will They Move Back In After Earning A Degree? It’s prestigious in Thailand for children to go to university and many of them do. You would think after getting their degrees these children would go off into the world and make their way. Many of them do. However, there is still a significant number who earn those degrees and then move back in with mom and dad while working or looking for work. In Western culture we would frown upon this practice and wonder how long it’s going to be before the children become independent. We would think the parents should feel a bit embarrassed at their kids lack of independence. Thais see grown children living at home differently than Westerners. Any child still in the home is a boon to the family lifestyle. That child can help take care of elderly grandparents and contribute to daily life by helping with meals or working at the family business. Thais are happy to support their children in this way until the children can find meaningful employment. Why? Why Are Thais Happy To Support Adult Children? First of all wages are not particularly high in Thailand so it’s understood children will need support in the early stages of their careers. And of course, it’s important to help your children become established because you’ll depend on them to take of you when you become older and unable to work. There is so much family interaction throughout your Thai girlfriend’s life it should be easy for you to understand why she is so attached to her family. Thai children are to taught to revere their elders. Grandparents in the home are not seen as a burden but rather as a compliment to the family structure. They have a lot of wisdom gained over the years and they have a lot of time to share that wisdom with their grandchildren. The interaction amongst family members commonly goes beyond the immediate family of grandparents, parents, and children. Aunts and Uncles and Cousins are commonly part of the family group. Children are often looked after by their parents, grandparents, and aunts and uncles. Most Thai have no problem leaving their children in the care of aunts and uncles for extended periods of time. This builds trust amongst the extended family and bonds them. Children don’t feel so reliant on their parents when they know their aunts and uncles are also there for them. That builds a keen interest in each other lives and consequently it’s common for the aunts and uncles to play a key role in decision-making with the family. How Will This Big Family Affect You? 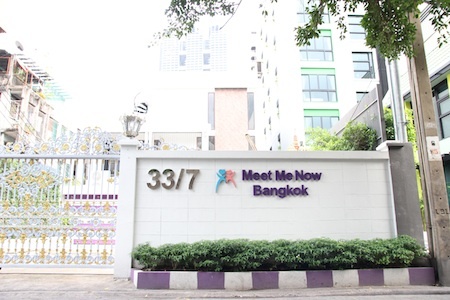 The Place Where Your Thai Date Feels Safe And Secure – With Her Family. All of this seem might seem so overwhelmingly strange for you coming from a Western country. Nonetheless, it’s the way Thailand is, you’re not going to change it. So what should you do? You should see your Thai girlfriend’s extended family structure as an advantage. It’s a positive you gain by marrying into a Thai family. As a new couple you’ll be offered all sorts of help from your new family. If you need help with a project at home or with your children your new family will be there for you. If you’re in a good position in life with your new bride then you should look for ways to help your new Thai family. It just may be some family members need money for school or perhaps your mother-in-law could use an addition to the kitchen. If you’re able to help go ahead and do it. When you help the family it raises your status within the family. Thais tend to be very generous to others and so it helps you fit in when you display generosity. On the other hand, if someday you are in need, you can be assured your Thai family will be there for you. Your Thai partner loves her family and she loves you. Embrace her family and understand her culture. Do that and you’ll gain a new Thai family and a wife who is the best partner in the world.